The visual learning style, often referred to as the spatial learning style, is a way of learning in which information is associated with images or graphics. This learning style requires that learners first see what they are expected to know. People with this kind of learning style are often referred to as visual-spatial learners. Other learning styles are auditory and kinesthetic. StudyBuddy supports small screens form factors like tablets & mobiles by auto-adjusting the screen size & content. This enables teachers & students to access the platform on any device in a user friendly manner. Studybuddy also provide E-Guide Home based digital learning tool which will work without internet. 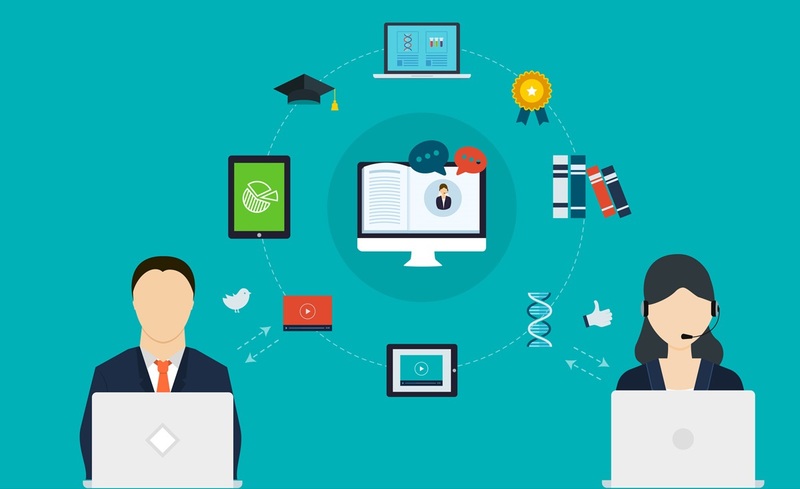 StudyBuddy supports embedding content such as You Tube, Khan Academy, Crash course, WikiEducator, Slide Share and many more. Teachers can easily bring the outside content seamlessly into StudyBuddy. StudyBuddy is an online learning platform for Indian K-12 students. This online platform is the most advanced Learning Management System(LMS) that is available in the market. The entire digital content, along with the assessment software is part of the offering. We offer more than 4500 Digital contents as a part of this program. StudyBuddy is an online and offline learning platform for Indian K-12 students. This online/offline platform is by far the most advanced Learning Management System (LMS) that is available in the market. The entire digital content, along with the assessment software is part of the offering. We offer more than 4500 Digital contents as a part of this program. StudyBuddy has come up with an innovative idea, E-guide Home based digital learning solutions in Pen Drive. This solutions does not require any internet connection after the one-time download authentication. You don't need any internet connection for using the device, and it has everything that you can get on any on line learning platform, and gives you high-quality learning videos without the hassle of monthly rental of high speed internet. And Parents don’t have the concern of child going to unsafe site or waste time and any distractions to studies. StudyBuddy believes in hand on training for learners and also support teachers. We believe in hand on support from both Trainers and learners. We have a dedicated team for the training and also for continuing support from our technical team.